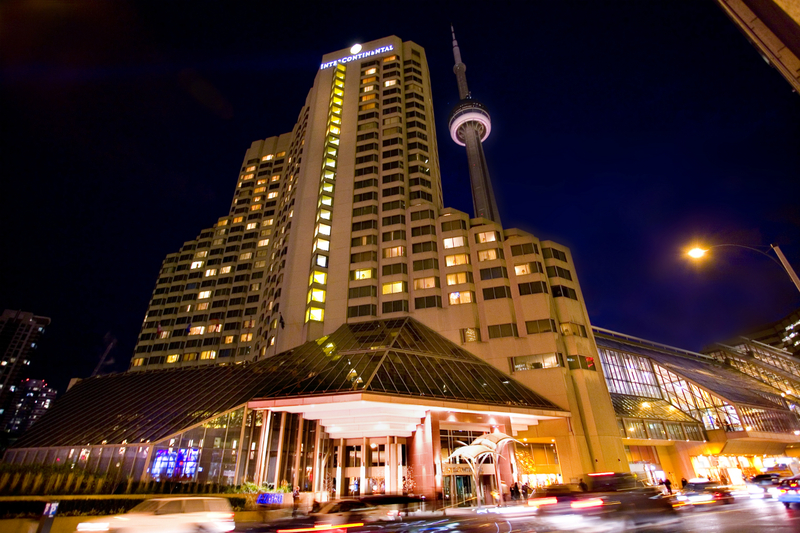 Experience the vibrant energy of downtown Toronto when you stay at the Four Diamond InterContinental® Toronto Centre Hotel. With 586 inviting guestrooms and suites featuring gorgeous views of Lake Ontario and the Toronto city skyline, the hotel offers easy access to Toronto’s bustling entertainment district with the CN Tower, two major sporting, concert, and event venues: Air Canada Centre and Rogers Centre, the Metro Toronto Convention Centre, Ripley’s Aquarium Canada, and Toronto’s theatre district just steps away. For those looking for a more rejuvenating experience, the hotel’s indoor saltwater swimming pool and Aveda concept spa offer some well-deserved rest and relaxation.